Notice: TOYO KEY OBD II has blue and black color which we will send randomly. TOYO Key OBD connect with cn900mini by Bluetooth, and operate on cn900mini screen. 1. TOYO-G(80bit) all key lost, write chips! 2. TOYO-8A(128bit) all key lost, write chips! 3. TOYO-smart card all key lost, write chips! 4. DAI-G(80BIT) all key lost, write chips! 5. NO need to take out instrument desk! to avoid damaging the car system. Step 1: Insert the new blank key into the ignition and turn it to the NO position, then plug the TOYO OBD adapter into the 16 pin port of the car. 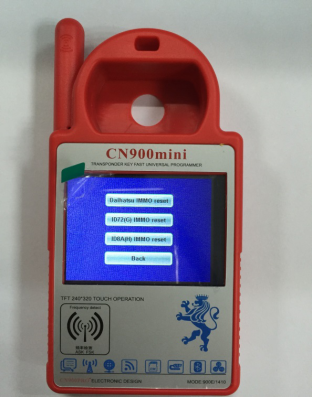 Step 2: Use the option 72G of CN900 MINI to connect, then start to initialize data, the immo indictor is on for a long time, then follow the CN900Mini prompt to operate. Step 3: It will prompt “Complete/ Success”, and then the Immo indicator is on for a long time again. Step 4: Turn on and off ignition for 5 times quickly, immo indicator is off. 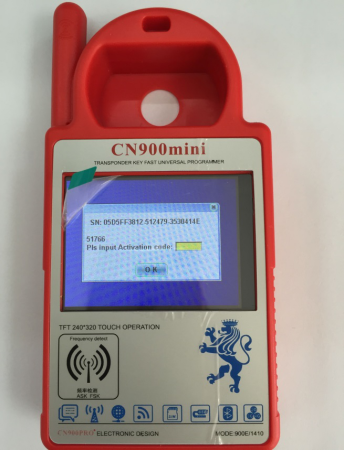 How to activate TOYO Key OBDII to work with CN900 Mini in order to Program Toyotda G Key? 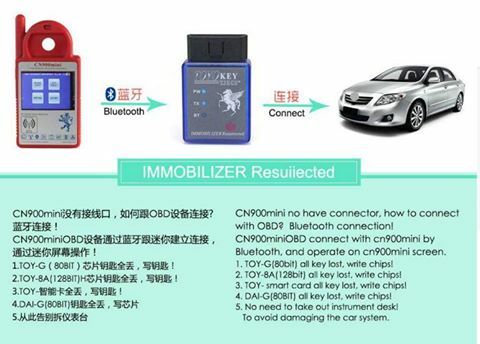 Before programming Toyota G all keys lost, you need to activate and register TOYO Key OBDII with CN900 Mini. 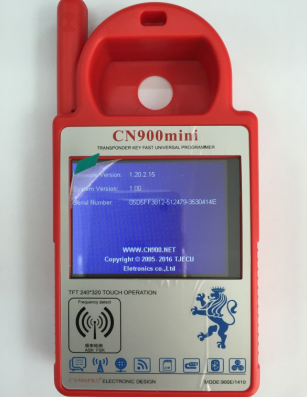 To use TOYO KEY OBD II KEY PRO with cn900mini/ND900 mini, you are required to update cn900mini/ND900 mini hardware version to 1.20.2.15 or higher version. Step 3: Cn900mini main interface display as pic4 (CN900 Mini will require to enter activation code), please take a photo of this and send to the salesmen which you contact, our salesmen will send this picture to our engineer, they will calculate the activation code, after the customer get the activation code and insert, it will register successfully. 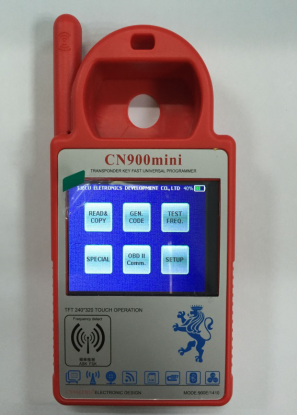 Remark: one activation code just can register one CN900mini machine, it can not register many cn900mini, please operate according this user manual, If the customer does not operate in accordance with the instructions of the machine damage to a series of problems, customers have to bear the cost of freight and maintenance.